Numerous studies note that 30% to 50% of food produced annually is lost or wasted. A significant part of the problem involves the notion of “imperfect” fruits and vegetables. In today’s global food system, consumers in developed countries have become accustomed to “perfect” produce — fruits and vegetables of uniform size and shape without a single blemish. Coupled with (and reinforcing) this view of perfection is a sense of abundance created by the large stacks of meticulously maintained produce available on a 24×7 basis in retail establishments. Those twin themes of perfection and abundance come at a cost — they lead to a tremendous amount of food waste — much of which consumers don’t ever see as fruits and vegetables of odd shape and size never leave the farm. Similarly, produce deemed “too far along” in terms of ripening will not be sent to market as retailers do not want to risk additional losses due to short shelf lives. Still further waste occurs upstream as retailers continually replenish on-floor merchandise to ensure that they are viewed by consumers as having the freshest produce. Consumers benefit from this system, but the behind the scenes costs are real. Despite odd size or shape, however, or even some minor blemishes, most of the produce that is being discarded will taste the same as “perfect” items and can be consumed in many ways. With nearly one billion people hungry across the planet, increasing competition for resources, and increasing concerns over greenhouse gas emissions, people are beginning to wake up to the value in food which is currently lost or wasted across the food supply chain — especially nutrient-dense fresh produce which is so critical for health and wellness. There is clear opportunity for entrepreneurs and socially conscious individuals to create business models around “imperfect” produce. 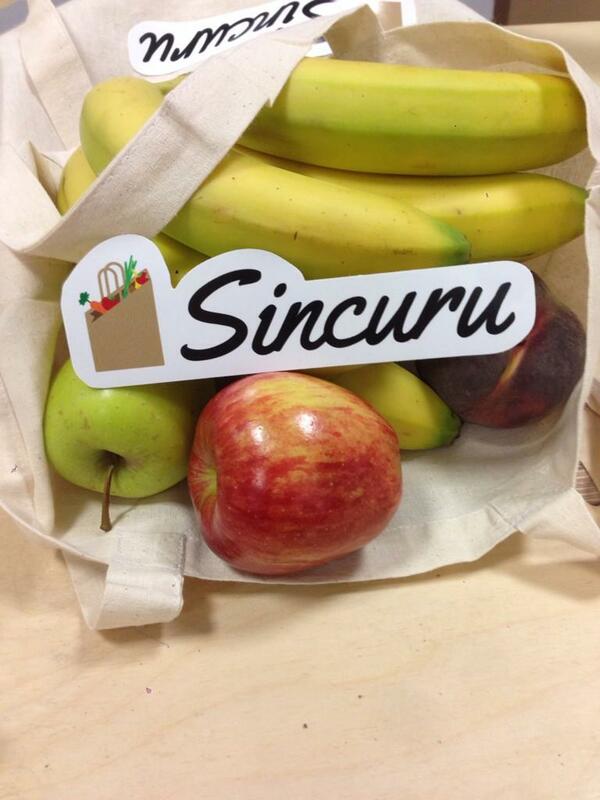 Enter Sincuru — a UK start-up dedicated to locating and distributing fruits and vegetables which are not selected for the retail market due to sizing, blemishes, or the level of ripeness. Founder Steve Amara, who grew up in Cameroon, was impacted by a lesson from his youth regarding the Fula farmers of northern Cameroon. These farmers travel frequently with their cattle in search of new land on which to settle. They look for land which is both good for growing food and full of fresh grass for their cattle — and land which is in a region where people value food. Once they select an appropriate location they call it “sincuru” which means “newly built town.” Growing up with the same perspective on the value of food, and driven by the vast amount of waste in the global food system, Steve had a mission (and a perfect name) for a sustainability-focused start-up to make a real difference. The leading message on Sincuru’s website is powerful — “Farm Produce, Recovered and Delivered. For only £9.99 per week, to your doorstep.” The company recovers the fresh produce that is deemed imperfect from farms, assembles it into designated offerings, and delivers it weekly to customers who place on-line orders. Offerings include a “Fruitybag,” a “Veggybag,” and/or a “Mixybag” (a combination of recovered fruit and recovered vegetables). Sincuru customers that order prior to 11 PM on Saturday receive their order by noon on the following Monday. In essence, the company is like a CSA for fresh, imperfect produce — adding further value by making the delivery and saving customers the trip to the farm for pick-up of their weekly boxes. It is encouraging to see a start-up like Sincuru seeking to carve out a niche in this space where so much good comes from the core business model. The environment benefits in many ways from the reduction of food waste going to landfill — particularly in the form of reduced greenhouse gas emissions — and individuals who might otherwise lack access to fresh produce at peak flavor are able to obtain highly nutritious food at a reasonable price. Farmers gain from the additional revenue stream for a portion of their crops and avoid the cost of disposing of what does not go to traditional retail markets. Perhaps most important is the concept underlying the business model — the recognition that we waste too much food across the globe and that it is time to value our food properly. Odd size or minor blemish, we can’t afford to waste such nutritious food with two billion additional citizens expected by 2050. Steve Amara notes that we are in a world where the “ugly but delicious peach will rarely win over a perfectly round but juiceless and bland orange.” With the innovative efforts of companies like Sincuru, that may be on the verge of changing. Previous Previous post: What If Apple Changed The Food System?